Learn with me program offered by Panda Express. 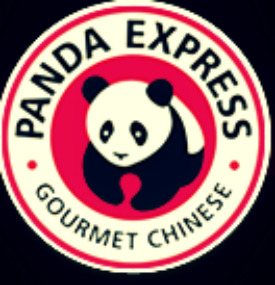 Panda Express is a unique fast food restaurant that is very popular here in Southern California. They have over 1600 location throughout the United States and Puerto Rico. Their food is delicious and cooked fresh every day. They offer gourmet Chinese food that is Panda Express ready. My kids love the brown rice with Teriyaki Chicken. I love the Shrimp and veggies with brown rice and hubby loves the Beef Broccoli. We all enjoy our meals and share with one another family style. It is a great value the price is just right. To help teachers, parents and caregivers share the traditions of the Chinese New Year the year of the Horse they are offering a free kit. Read below to find out how to access it from your home. Want to experience the Chinese New Year first hand then take the OC Metro Link to Chinatown, Los Angeles California this February 1st. 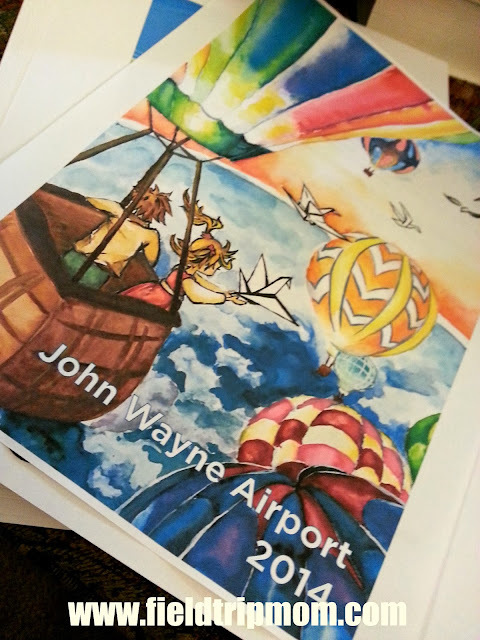 There you will find the 115th annual Golden Dragon Parade. The day will be filled with cultural performances and gourmet food trucks. It promises to be a fun-filled day. The OC Metro is giving the first one hundred people a free roundtrip train ticket to the Chinese New Year parade. Just arrive by 8am. You may also purchase a $10.00 weekend pass. Metrolink offers a Weekend Day Pass for only $10. This pass allows a passenger to ride anytime, anywhere systemwide on either Saturday or Sunday. The Weekend Day Pass includes free rail and bus connections throughout Southern California. Great deal if you plan on enjoying the weekend traveling between Orange County and Los Angeles County. Read how you can win prizes while you wait for the train by visiting their link OCTA Metro. Every second Sunday of the month from 11:00 a.m. to 1:00 p.m. The Orange County Great Park along with UC Master Gardeners offers FREE gardening classes to children. This hands-on learning experience is open to children ages 3yrs-9yrs old. The garden is located next to the Great Balloon and Carousel you can't miss it once you park the car. We attending the January workshop, "Can You Dig It?" was the theme. The workshop taught us about soil, what plants need to grow and how compost happens. There was a Bug Bingo game that had prizes. 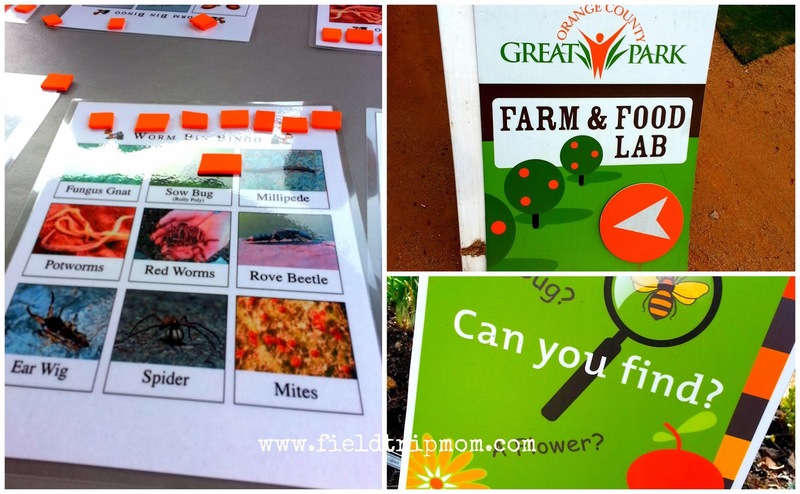 My kids had a fun time digging, playing bingo and learning about the gardening. 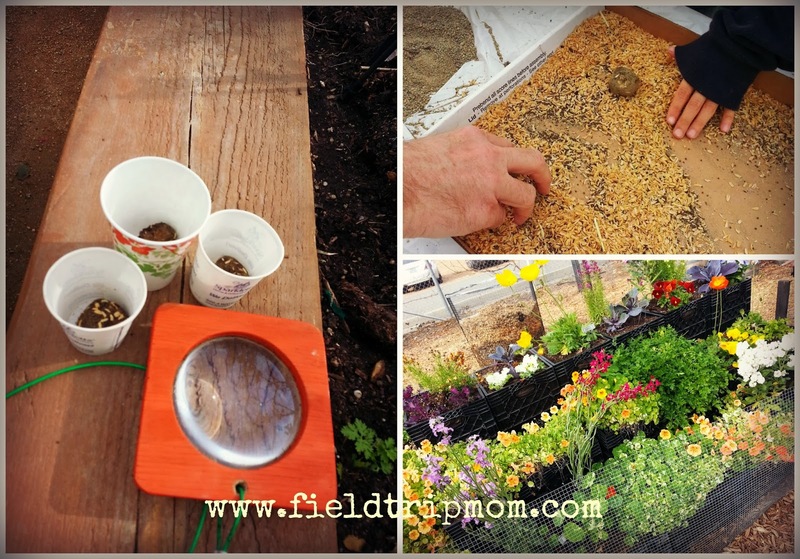 The workshop offered a take home seed bomb plant. What is that you ask? It is seed rolled onto clay, sand and compost. This is a unique way to start a small garden. We all got to make a seed bomb to take home and plant. It was a great way to practice having a green thumb. Kids are excited to see the plants grow. After the hands-on lesson we explored the gardens. There were live chickens inside a chicken coup that engaged my kids with different why questions. Questions like why are they different colors? Why can't we feed them? Will they bite us? All important questions for young minds. Around the bend from the chickens were the avocado trees and artichoke plants. Keep walking and you will see the compost bin filled with worms that you can touch. Some of the plants have a magnifying glass for kids to see things at a closer view. The garden inside the OC Great Park is the right size for little kids just learning about mother earth. Your next opportunity to catch these free hands-on experience field trips will be on the following dates. Find out all about the wonderful world of flowers, their uses, and how to create a magical floral rainbow of your very own. Native American legend says, corn, beans and squash (the food staples of many Native American cultures) are three inseparable sisters who only grow and thrive when planted together. Come listen to the legend, absorb the wisdom and reconnect with the land by planting your own Three Sisters Garden for your yard or patio. Garden Detectives 2: What’s All the Buzzing About? Learn about why Bees are important. Make your very own Web of Life to take home with you. 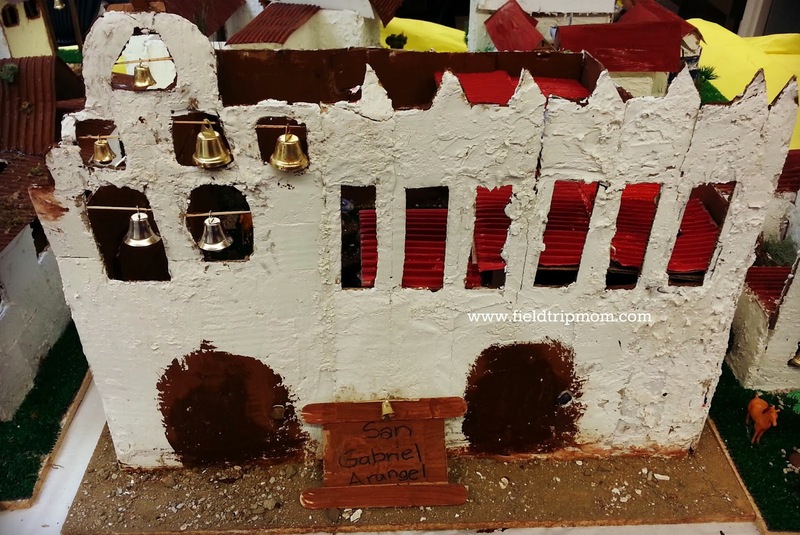 Learn how to make a California Mission Model at home or in the classroom. 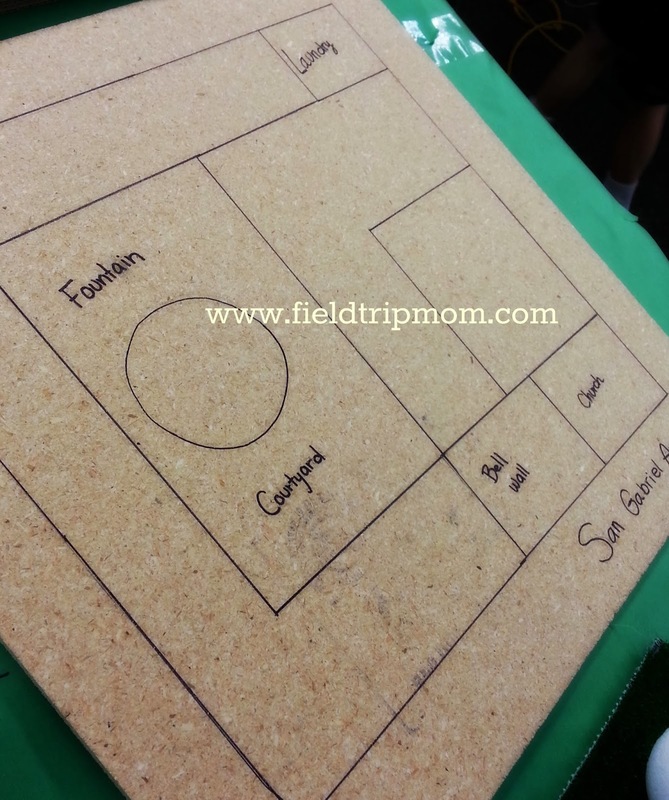 We made this project as part of the California Public School Fourth grade requirement in a group setting. Continue to read on to get the supply list and instructions for a successful mission model. On an ordinary day, I was reminded how amazing kids really are when there are no limits. Just as equally amazing are the teachers who guide them and teach them everyday. 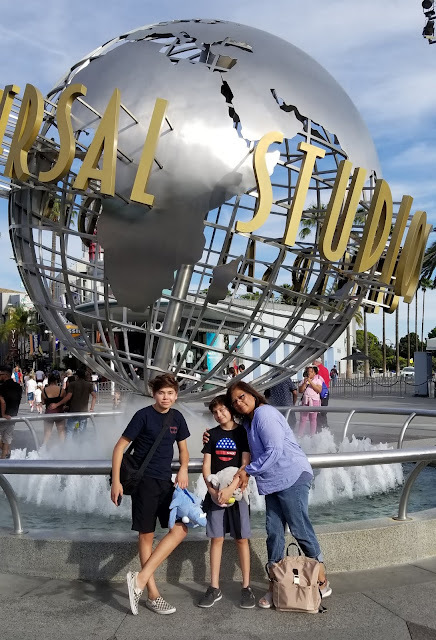 I am very thankful for the opportunity that I was given as a parent volunteer. The day was like a beautiful dance where parents, teachers and students came together for a common goal. The goal was to make models of California Missions from a simple picture and lots of cardboard. I can honestly say the goal was reached and everyone deserved an "A". 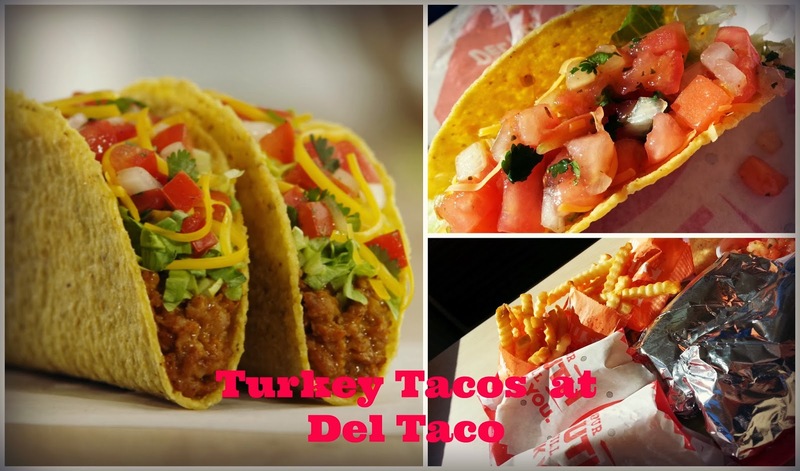 Del Taco is now offering Turkey Tacos. Let's talk turkey tacos. 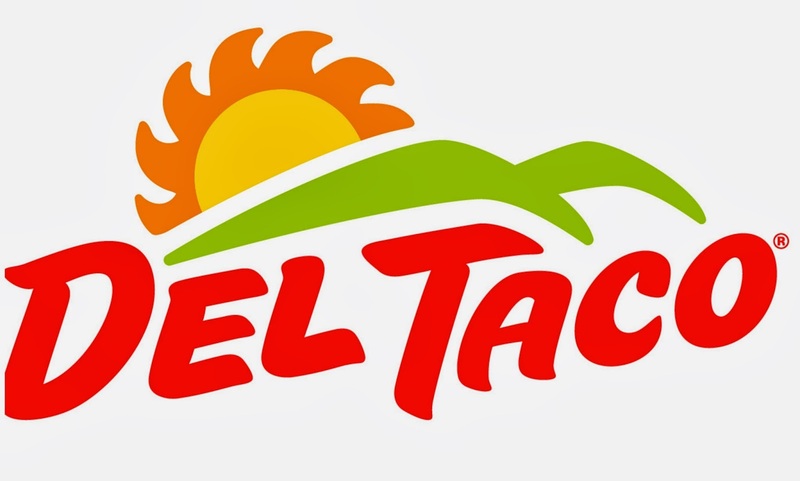 Del Taco is now serving delicious crunchy tacos and tostadas made with turkey. They are only 150 calories and 33% percent less fat compared to the seasoned beef tacos. I tried them and they tasted delicious. The pico de gallo is made fresh everyday and it a great side dish with the tacos. My husband and I went out for a lunch date the other day to Del Taco. He ordered the fish tacos and I ordered the turkey tacos. He wanted a soft shell and I wanted the crunch. It was the perfect lunch date because we both ordered what we wanted eat. (The Menu at Del Taco is full of great selections, so everyone can find something yummy.) With our meal came the pico de gallo (salsa) item and it was the perfect size for lunch. Our lunch hour was fun with great food and conversation. Del Taco is our place to go for a quick delicious meal. Next time you have lunch think of Del Taco for a low calorie savory meal. Del Taco is the perfect place to get fast food that is tasty and delicious. In a hurry, then try their drive-thru and take it to go. The best part is that the staff is friendly and super fast at the Del Tacos. Low fat and great tasting turkey tacos are now being served at Del Taco. Del Taco is sponsoring a giveaway here on your favorite blog. Enter for a chance to win one $20.00 dollar gift card to Del Taco. Remember the more you enter the better the odds of winning. My mother-in-law is a great homemaker and a great person. The other day on the phone we got talking about what was happening in Minnesota. When we got to talking about her favorite new dish. Her and my father-in-law have been experimenting in the kitchen. One recipe they found that they love to make and share with friends is "Chicken Spaghetti". The recipe came from the show The Pioneer Woman a food blogger, who is now on the Food Network. Of course, I would say send me pictures and the recipe for me to share with others. They did just that with their own twist to the recipe. I would like to add that I am extremely thankful to my in-laws for always sharing their thoughts, ideas and recipes. With their permission I am sharing their Minnesota twist on Chicken Spaghetti. Preheat the oven to 350° F. While the oven is heating up bring a large pot of water to a boil. The water should be enough to cover a whole chicken cut up. Add the chicken pieces to the boiling water and boil for a few minutes, and then turn the heat to medium-low and simmer, 30 to 45 minutes. Remove the chicken and 2 cups of the chicken cooking broth from the pot. When the chicken is cool, remove the skin and pick out the meat (a mix of dark and white) to make 2 generous cups. Discard the bones and skin, but not the chicken broth. You will need the broth to cook the spaghetti. Disclaimer: This is not a sponsored post. All thoughts and Ideas are all my own. A big thank you to my father-in-law for the pictures and another big thanks to my mother-in-law for sharing her cooking tips. Our family has frequented the LEGO stores monthly free mini builds since our boys were small. These amazingly organized events are at your local LEGO store nationwide and provide your kids with a great field trip adventure. Kids learn engineering, math, science, and life skills like following instructions provided by others as a result of these events. Today, Jan 7th 2014, the Lego Stores will be providing kids with a snow plow mini kit to take home with no obligation. Arrive early as the line builds pretty extensive and the stores offer only a limited quanity so first come first serve. I have not seen an instance where the stores were out of the kits however that is our experience at our local store. To find a store near you, log onto their website at: LEGO Store Locations. You will also find the LEGO store calendar of events full of great information. This is a Non-Sponsored post. All opinions are my own. Please check with your local store for times and build information as it is subject to change without advanced notice. Reading is the best gift you can give a child. March is Read Across America month. The National Education Association has their poster out on their website for all to print. To make things easy for you I am sharing it with you. Make sure you mark your calendar and look for special events at your local library. Don't forget to stop by a bookstore or your local library to encourage reading. Take a moment to go into the past and visit La Verne Heritage Foundation to experience life a hundred years ago. This experience will give you the opportunity to pick oranges the way farmers did in the past. 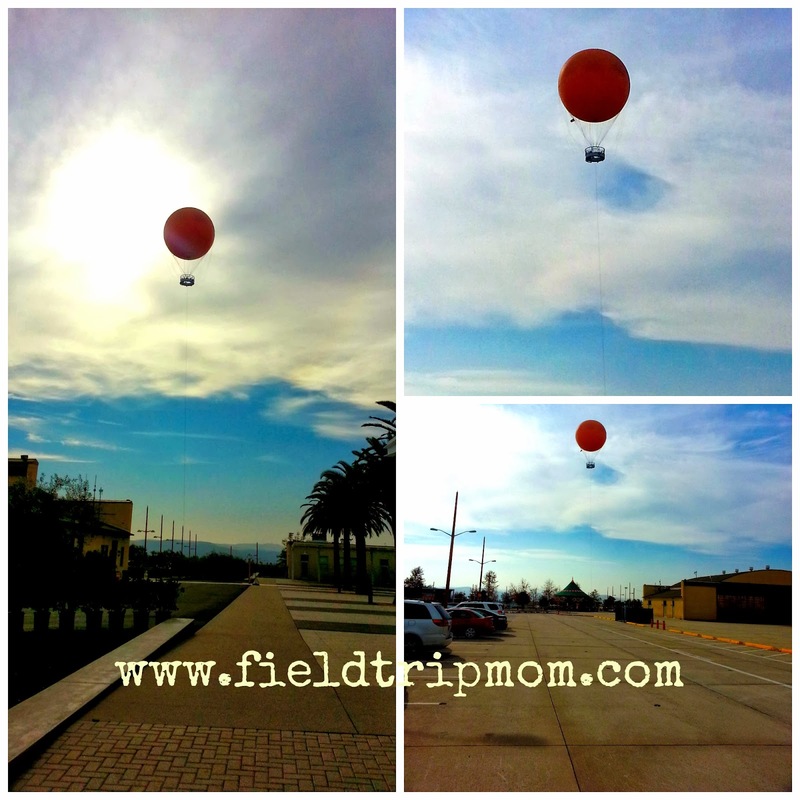 This is one of the last working orange groves in the area that offers a great family field trip. Bring cash to purchase a bag or two of oranges that you pick yourself. Each bag is $5.00 and they supply the picking pole. The season of picking oranges will begin January 4th, 2014 and end mid March. 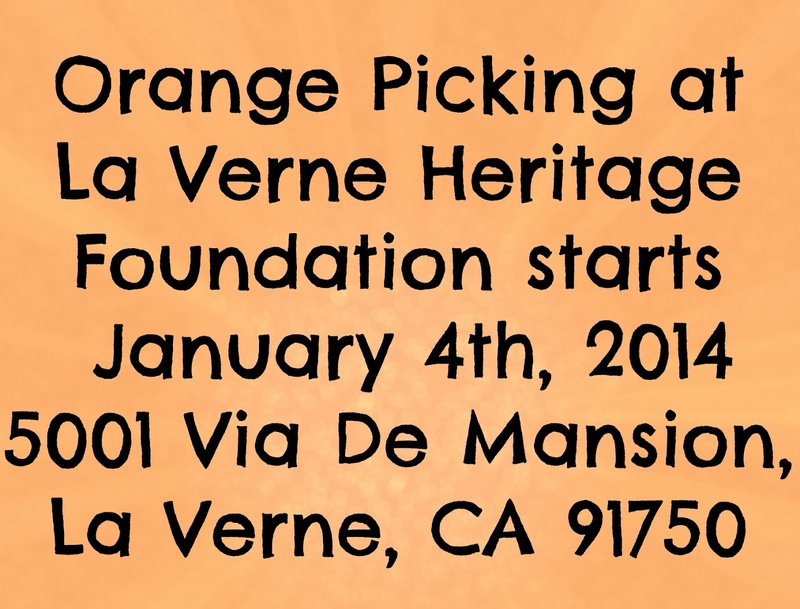 For more information call (909) 593-2862 or visit their Website at www.laverneheritage.org. The tickets are $10.00 per person and it is rain or shine. The event starts super early at 6:00am. Wear layers to make sure you are not too cold or too hot. The event will end at 12:00pm. Disclaimer: This is not a sponsored post. This is an event is hosted by Jurupa Ranch Park.